Woodstock’s average household carbon footprint as calculated on the CoolClimate interactive map. April is Earth Month and that gives us the opportunity to bring awareness about global issues affecting the environment. 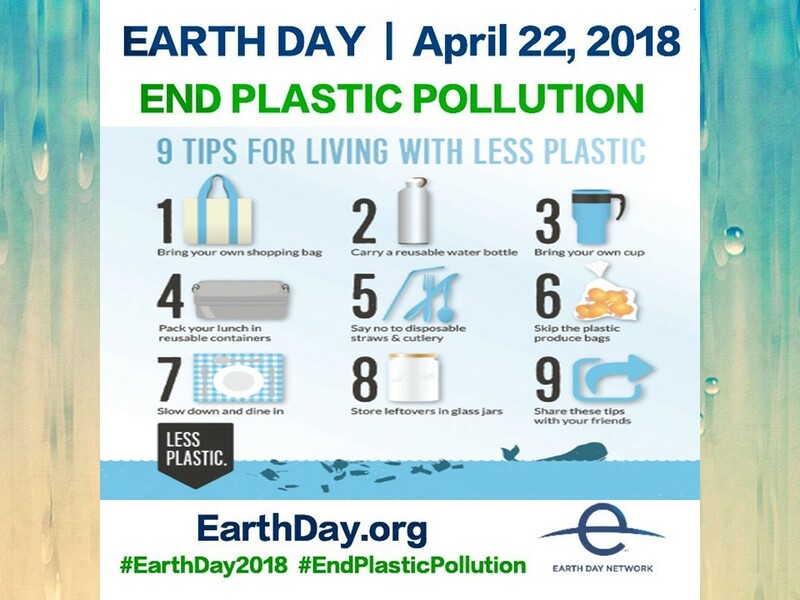 This year the Earth Day Network is focusing on plastic pollution. Many of you may have seen recent articles on the Great Pacific Garbage Patch, that massive floating island of plastic. For those who missed article you can find it here – https://wapo.st/2G7oMIu. While it turns out that much of the 79,000 metric tons of plastic in the patch is abandoned fishing gear caught in the slow moving current, microplastics make up 94 percent of the estimated 1.8 trillion pieces of plastic in the patch even though they account for only eight percent of the total tonnage.